Docker, the container management startup that’s taken the world by storm in recent months, has bought Orchard Laboratories for an undisclosed amount. Orchard is a London-based two-man development shop that crafts tools out of the Docker platform. Docker has made it clear that in order for it to become a profitable company, it must adopt the Red Hat model — which means offering commercial (paid) support for its technology. One way to do this is to develop tools around the Docker Hub that give users the capabilities to manage and monitor their containers; this is where a company like Orchard comes to play. Orchard’s biggest claim to fame is its container orchestration service called Fig, which Docker CEO Ben Golub describes as basically a set of tools that make it possible for people to author or compose complex applications using multiple Docker containers. While Fig is and will remain open source, Golub said that eventually, Docker will attempt to incorporate certain aspects of Fig into part of its paid services package. In addition to continuing their work on Fig, Orchard’s co-founders CEO Ben Firshman and Aanand Prasad will take over the developer environment initiatives at Docker, meaning that they will work on tools that make it easy for developers to use Docker in their own environment. The two will continue to work from London, said Golub, and their presence in Europe will allow Docker to tap into the region’s active open-source community. 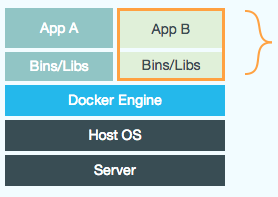 Today’s acquisition is Docker’s first since it changed its name change from DotCloud. In 2011, the company formerly known as DotCloud acquired PaaS startup Duostack. For more on Docker, check out founder Solomon Hykes’s interview about halfway through the Structure Show Podcast. Post and thumbnail images courtesy of Shutterstock user anekoho. Iâ€™m not sure how Docker would implement a model like that â€” what would they restrict access to in order to force customers to pay?